What does the word entrepreneur mean? If you could start any business that exists, what business would you own? These questions plus many more were answered at an after school entrepreneurship camp sponsored by the Fillmore Central Future Business Leaders of America. 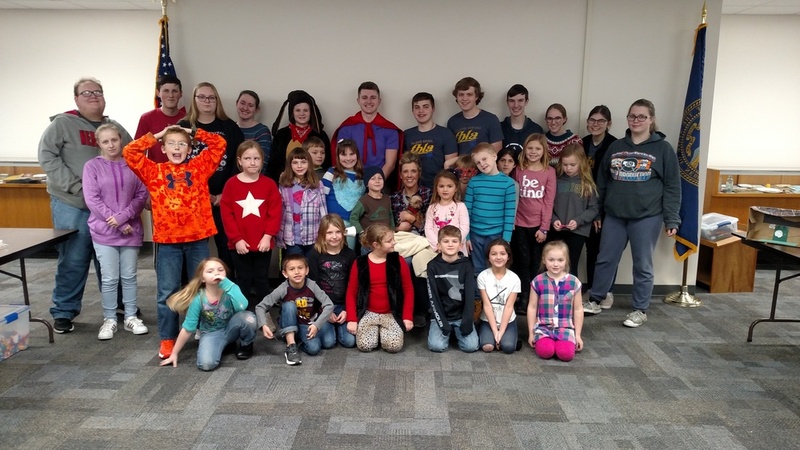 The camp was held at the City Library on January 23. Students grades first through fourth were invited to attend the two- hour camp organized by the FBLA American Enterprise committee. Special presentations had been given to the elementary classrooms earlier in January to publicize the event and to encourage participation. The American Enterprise project teaches all ages about the importance of the free enterprise system. Since small businesses are the backbone of our economy, the FBLA members selected the topic of entrepreneurship for the project this year. American Enterprise co-chair Faith Lauber continued the story of Sir Save-A-Lot and Penny the Dog, which was started last year. She wrote and illustrated a sequel called, Penny’s Big Idea, in which the pair start a dog treat business. This book was shared at the elementary camp and a story hour held at Sowing Seeds on January 21. The day of the camp found the twenty attendees being challenged to create their own business storefront out of a shoe box and craft materials provided by chapter members. 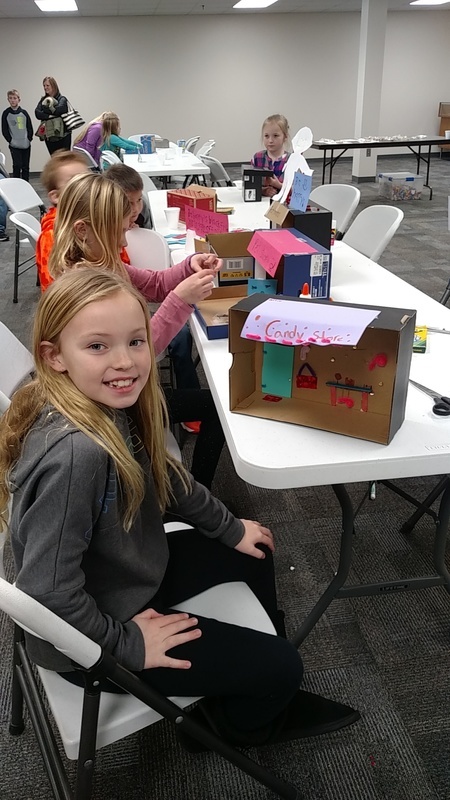 The young students were very creative and enjoyed designing a wide variety of business ideas that included candy stores, flower shops, coffee shops, and pet businesses. Based on the book theme, the students also made homemade dog treats or birdseed feeders to share at home. A highlight of the camp was local entrepreneur, Valerie Turner, who brought one of her pet clients, Charlie, to the camp. Valerie shared information about how she started one of Geneva’s new businesses, Barks and Bubbles. The camp ended with each student sharing his/her business idea and storefront.